The path to a healthy, sustainable and fair food consumption starts already during our early years of childhood and youth. 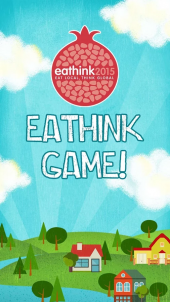 For this reason the EAThink 2015 project has developed two interactive educational games targeting Primary and Secondary school students, in order to help them better understand the different mechanisms of food supply and production and to follow the path towards a healthy, sustainable and fair food consumption. Robin’s Cake is an interactive fairytale that follows the adventures of Robin – a boy or a girl – in the country of Eatville, where the main character goes on a quest to find all the necessary ingredients for the best apple pie ever: healthy, sustainable and fair. Along the journey, Robin will get to know farmers’ markets, organic farms and fair trade shops. Once all the ingredients are collected, Robin – with Grandma’s help – will be able to bake the best apple pie ever and enjoy it with family and friends! Download the App now and join the adventure! 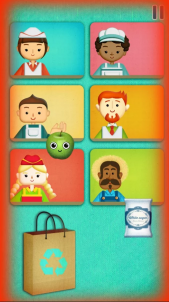 “Robin’s Cake” is also available for Android and iPhone devices. 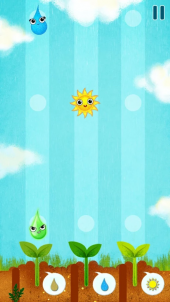 EAThink Game is an interactive tap & drag game consisted of a total of 3 chapters, each one representing a crucial stage of the food chain: production, distribution and purchase. You will be able to: (i) farm in an organic and sustainable way, cutting GMOs out of your field, (ii) choose fresh, 0Km and Fair Trade products to be sold in your shop and, finally, (iii) to shop in an informed way, choosing sustainable and healthy foods. Set a high score, and make the EAThink hot balloon fly high! Download the App now and make the EAThink hot balloon fly high! 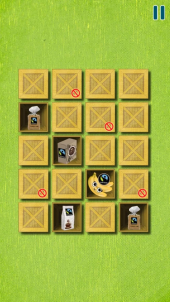 “EAThink Game” is also available for Android and iPhone devices.